AnonD-81729, 26 Nov 2012Here is what the Lumia 920 has. Superior call quality (landline quality), awesome signal recep... moreIts all just on pappers, but in the real not so different with others phone. Its just marketing strategy only. Will microsoft also gave 4 Yrs support to all wdp8 smartphone software backup ? 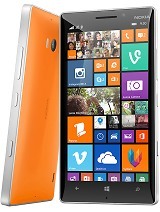 Here is what the Lumia 920 has. Superior call quality (landline quality), awesome signal reception, amazing build quality/design, PureView camera, Optical Image Stabilization video recording, HAAC Rich Audio recording with 3 high amplitude microphones (great for concerts, it can record sound that other smartphones can't), ClearBlack display that is best for outdoor viewing even in direct sunlight, PureMotion+ screen is the fastest display in smartphone (9ms pixel response rate), next generation high powered Dual LED flash, Super sensitive touchscreen that works with gloves, built-in Dolby state-of-the-art digital processing technology for headphone and included an equalizer, and an incredible hard Zirkonium camera deco and side buttons for scratch and dirt resistant. Palanivelu M, 25 Nov 2012Nokia cant' survive any more as they manufacture all hand sets in CHINA. The only way out is s... more No smartphone can success (fulfilling public demand in time) without Chin factories, in manufacturing hardware parts or assembling. All Gorilla glass screen are supplied directly in uncut large sheets frm Chin. Either Apple, Samsung, Nokia, HTC, LG, ZTE, Sony etc etc... has depends on Chin for one part or other. AnonD-35217, 25 Nov 2012Does anyone have any comments about gps strength? I had N8 that took for ever and now HTC ONE... moregps of nokia n8 can do too. just turn on your mobile data first at the notification until the gps were establish then turn off again the mobile data so that it can't consume your load if you are using prepaid card. AnonD-79514, 25 Nov 2012try using your brain and learning English and understand then! his comment is very well made!Come On ! I too have no idea what that fellow wrote. Waiting for this phone!!! 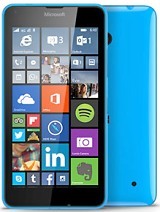 It's a great phone in design and technic, i can't wait to have my own lumia 920 in my hands! i have a WP7 phone and an android phone, but i'm tired of android. Both OS are good, but i prefer WP because it's less noisy. WP8 has some cool features. 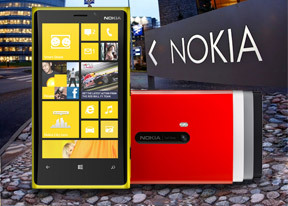 So come on lumia 920, be available worldwide and i can have a lumia 920 too! ajax, 25 Nov 2012how about games ??? ?can we download games such as PES or FIFA for lumia ???? Lumia 920 has PES and FIFA, it also has Xbox Achievements that Android and iOS don't have. best phone ever created in the history, really superb, classy, one of a kind and unmatchable. Nokia will rise again. Nokia rocks! Durpa Durp, 25 Nov 2012Commas are NOT periods. Try having a friend translate your reply into English and try again.try using your brain and learning English and understand then! his comment is very well made! Anonymous, 25 Nov 2012Ics and jellybean were very smooth on custom Roms and ics in official release .587 for all xpe... moreCommas are NOT periods. Try having a friend translate your reply into English and try again. Does anyone have any comments about gps strength? I had N8 that took for ever and now HTC ONE X that has unbelievable strong gps that locks on position in seconds(from cold). AnonD-81363, 25 Nov 2012Thanks, will try it out.Try also to reinstall Skype and facebook apps if these apps are already installed. See the other forums, reinstall Skype and Facebook app. Full deplete and recharge few times the battery over night. Can anybody tell me what the reason between 920 and 820 is? I want the ebst of the best, but to be stuck with one color is a drag and with 820 I can change it up, but I still want the best of the best.